Promo code is a service that gives you a chance to have a discount from the value of products to a certain category (Example: Jeans, Blouses, Dresses, etc.). 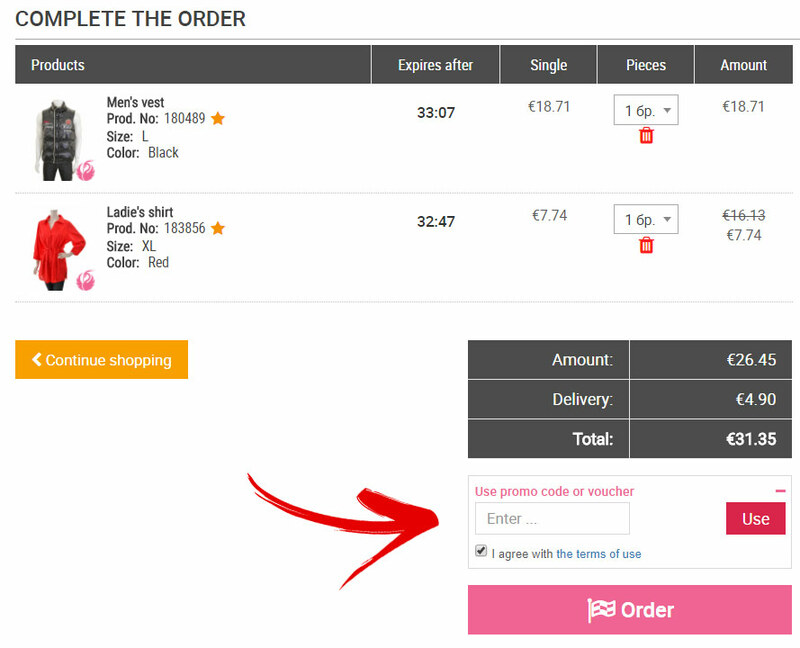 Simply enter the code in the box before finalizing the order. Only products marked with a logo: in the lower right corner of the main photo are subject to full discount with promo code. Products marked with a logo: in the lower right corner of the main photo are subject to an incomplete (limited) discount with Promo code. Products without a mark on the bottom right corner of the main photo are not subject to promo code discounts. The promo code makes a discount on the current product price, if the product has other discounts, the promotion combines. The discount percentage of a promo code is different for each product and is determined by the difference with its original price. Each Promo code can be used in an unlimited number of times during the activity period. The Promo code can be used by both registered and unregistered users.